OTTAWA, Ontario - Jan. 22, 2019 - PRLog -- Bloomex Canada is proud to announce the launch of a new campaign with Heart & Stroke (H&S) The campaign will run from February 1st - March 1st, 2019 in support of Heart Month in Canada. 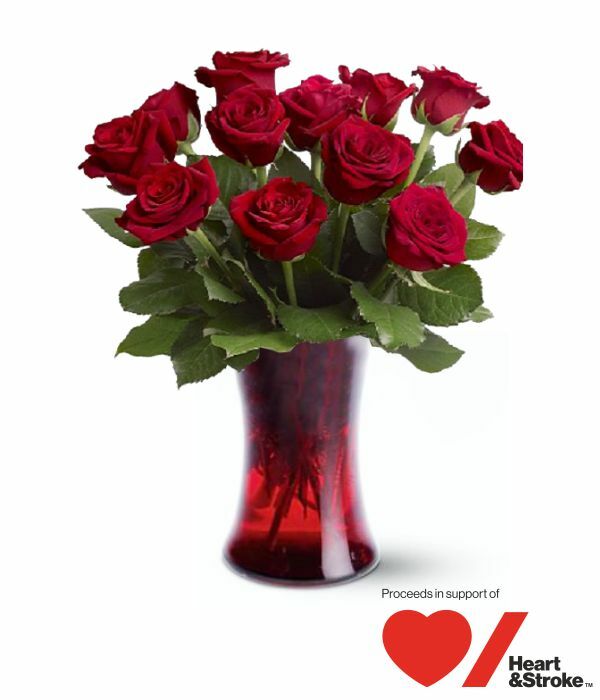 As a proud national partner of H&S, Bloomex will support fundraising efforts by providing a two dollar donation at checkout option, for any purchase made at Bloomex.ca during the month of February. 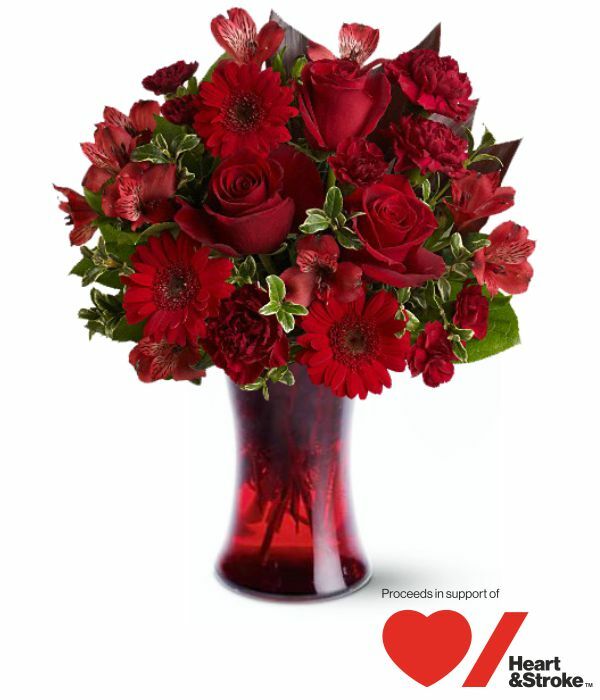 In addition, Bloomex will offer an exclusive collection featuring four red-themed bouquets. 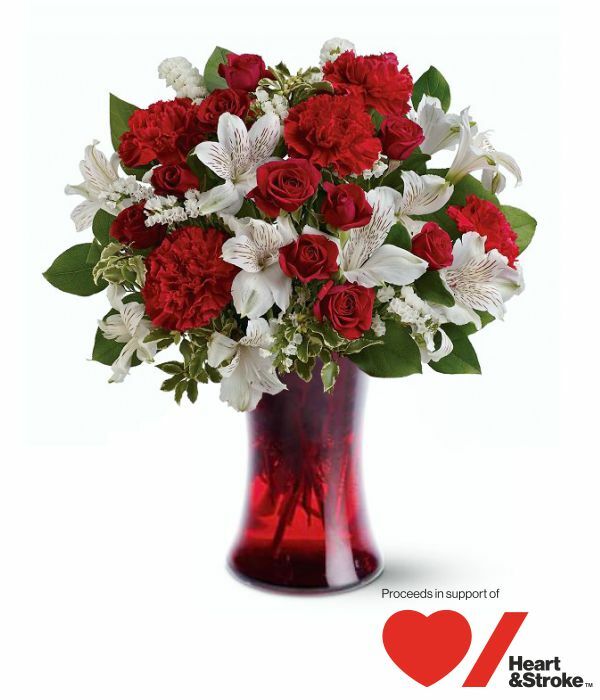 Fifteen percent of products purchased for each bouquet sold will also be donated to H&S to provide further support. Heart & Stroke has helped decrease the death rate from heart disease and stroke in Canada by 75 per cent over the past 60 years. A staggering 1.6 million Canadians live with heart disease and stroke with 9 in 10 having at least one risk factor. Funds raised for Heart & Stroke will help fund research and support the Women's campaign #TimeToSeeRed. Heart disease and stroke is the leading cause of premature death of women and most women don't even know it. Currently, only two-thirds of heart disease and stroke research is focused on women. H&S is on a mission to ensure equitable representation of women in the research we fund, close the research gap, and stop women dying unnecessarily. 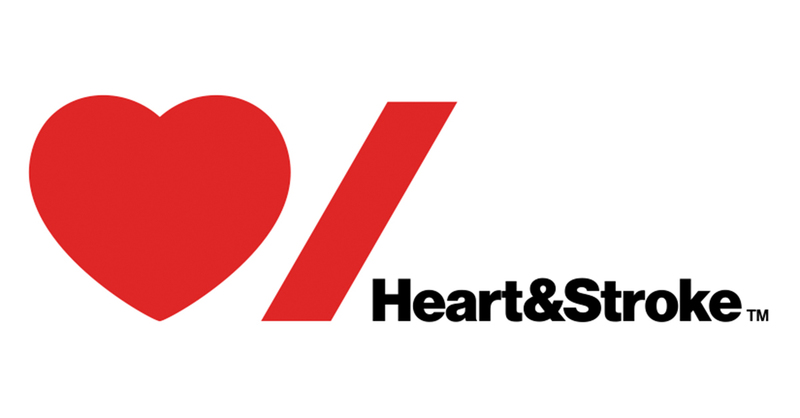 "We are delighted to continue our partnership with Heart & Stroke," says Sue McDonald, Director of PR and Corporate Sponsorship at Bloomex Canada. "H&S helps Canadians lead healthy lives free of heart disease and stroke and Bloomex is glad to help support that effort." 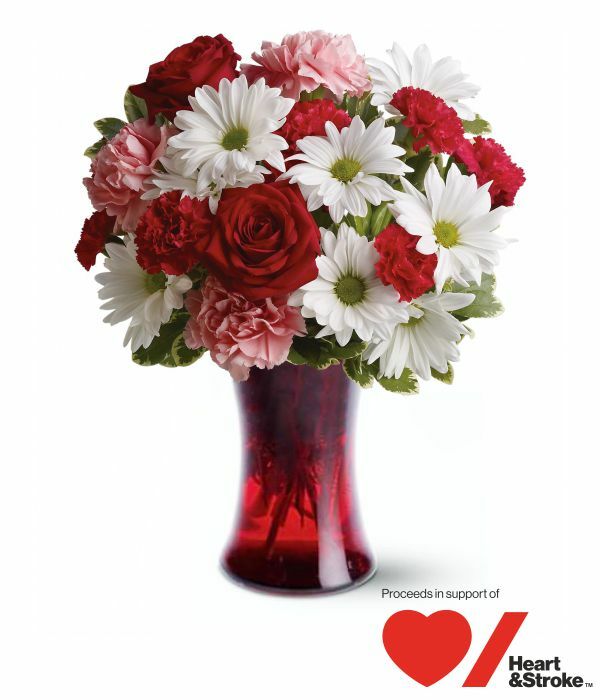 "We are delighted that Bloomex Canada has chosen Heart & Stroke as their charity of choice," says Kari Flannery, National Director, Community Engagement. "Everything we do is aimed at reducing the death rate and risk factors associated with heart disease and stroke. Because of organizations like Bloomex Canada, Heart & Stroke is creating more moments, funding breakthroughs and saving lives." Bloomex is the largest florist in Canada. Orders are taken and processed through the company's site at Bloomex.ca or by phone, and then delivered to customers via local courier. In addition to flowers, Bloomex offers a variety of other gift items including plants, gift baskets, gourmet foods, sweets and treats, balloons and other items. The company serves Canada, the US, and Australia.